Findspot: Egypt, Giza, Debris on top of G 7340. 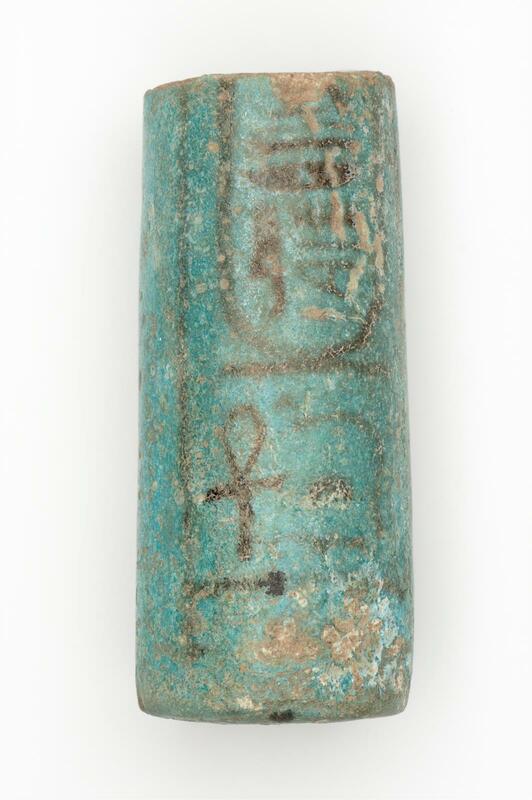 Appears to be a lower part of a cylinder (handle of mirror ) with blue blue glaze and black hieroglyphs, with two cartouches of Horemheb. From Giza debris on top of G 7340. Feb. 1927: excavated by the Harvard University–Museum of Fine Arts Expedition; assigned to the MFA by the government of Egypt; 1929: accessioned by the MFA.